PLEAS NOTE: WHEN ORDERING MORE THAN 1 ITEM, WE CAN GET YOU A BETTER SHIP QUOTE. PLEASE EMAIL US! 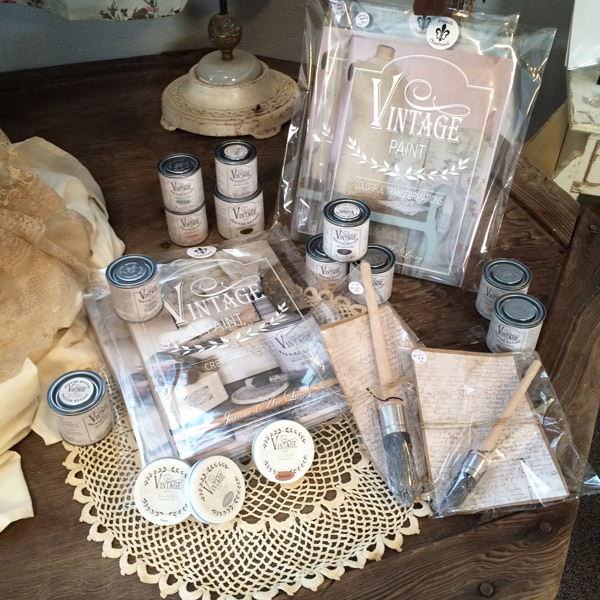 100% Natural... Vegan Chalk Paint!! One Small Can Of Vintage Paint Is Enough To Paint A Small Table Or Chair. This Paint Is Amazing And So Easy To Use! You'll Love It! Provides A Matte Finish. Environmentally Safe, Imported From Europe. *IF you wish to order a size or color that is not listed or is sold out, we can get it in for you! Please send us an email request... We send in paint orders every 3-4 weeks!